Logan Tracia, left, and Will Perillo are engaged in a lightsaber duel with their training lightsabers. 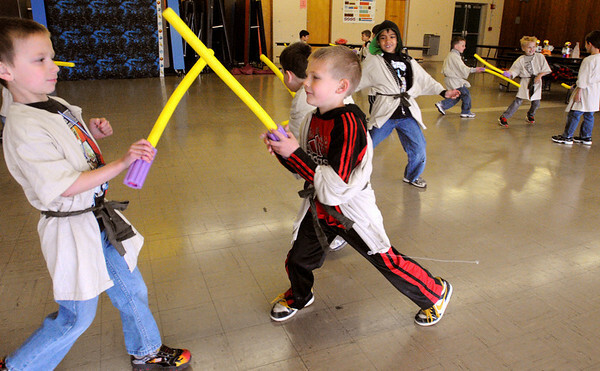 They learned what it took to be a Jedi Knight at the Higgins Middle School Cafeteria during a Peabody Rec. Dept. program on Tuesday morning during school vacation week. Also, they designied and made their own recycled Droid, made a Training Lightsaber, and had their photo taken as a Jedi.